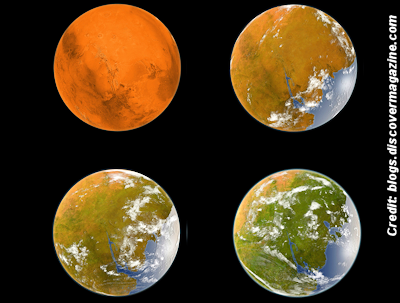 Terraforming Mars sounds like a job for generations far into the future — or a plot line written for Hollywood’s Matt Damon — but DARPA may be helping bring it nearer. . . . This will never work - hell, we can't even deal with the mess we've made on Earth. You people better get used to it - we are going nowhere.